The second instalment of the half-main Short Circuit Series on Saturday 30 March delivered a full programme of the ultra-close racing for which this series is known. 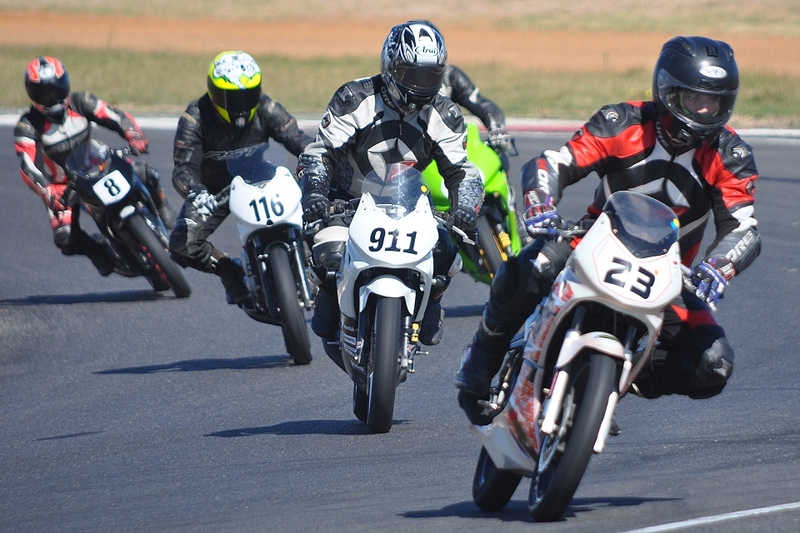 Current SA Super300 champion Kewyn Snyman led the charge in the CBR 150 Senior class, winning all three races in fine style and taking overall honours for the day. Behind him, Gareth Dawson and Raymond Alexander put up three superb dices for the remaining podium spots, finishing 0.614sec apart in Race 12, 0.112sec apart in Race 2 and 0.122sec apart in Race 3. However, Dawson was ahead each time when it counted, and took second overall for the day. The fight for fourth and fifth between Zante Otto and Braddon Hutchings was even closer in their first two outings, but Hutchings blotted his copybook in the final race and finished 14th, handing the young lady an uncontested fourth overall for the day. David Lindeman and Slade van Niekerk were the stars of the CBR 150 Junior class, swopping the lead at least twice in each race and never finishing more than a quarter of a second apart – in fact, Lindeman took the final heat by just 0.027sec, and with it overall honours for the day. Abigail Bosson was penalised three places for a jump start in that final outing, but it didn’t stop her from taking third overall for the day. Connor Hagen won all three Super Single races, chased home in the final two by Kewyn Snyman for two cliff-hanger finishes; Snyman, however, did not start Race 1 so Andrew Liebenberg and Nicholas Hutchings took second and third overall for the day. Jurgen van Onselen dominated proceedings in the SuperMotard contest, but was made to work very hard for his three wins by Franco Flach, who led at the start and set the fastest time of the day in Race 1. Third overall for the day was main-circuit Super600 contender Gareth Gehlig. The Superkarts races were, as always, completely unpredictable; Muneer Salie won all three going away but behind him the racing was wild, with five different drivers sharing the six remaining podium spots. Taahir Salie and Toufeeq Moos tied for second on the day with a second and a fourth each, ahead of Piet Fourie’s two thirds.